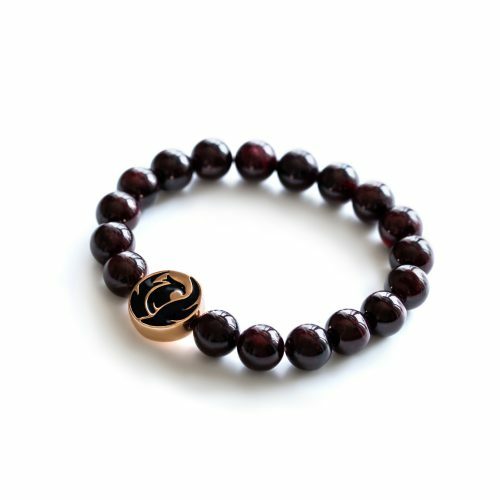 Phoenix Garnet Bracelet is made from the best grade garnet stone beads, a perfect source of strong energy and vitality. This bracelet represents courage and success, brings the energy and its perfect solution as a motivational accessory. It is favorite birthstone for Virgo zodiac sign. Presenting to you Phoenix Garnet Bracelet Rose Gold plated. Fit Selection’s designing team decided to make a special pendant that will be a perfect match for the metaphysical energies of the gem stones we use. Phoenix symbol matches perfectly as it represents a strong and balanced energy, recreation and rebirth. With a wishing stone, protection stone or any other, symbolic meaning of the Phoenix bird will enhance your visualization and will be a great reminder on commitment you made to yourself. Each bracelet is handmade by our team creating an elegant combination of Garnet stone and Rose Gold plated pendant. 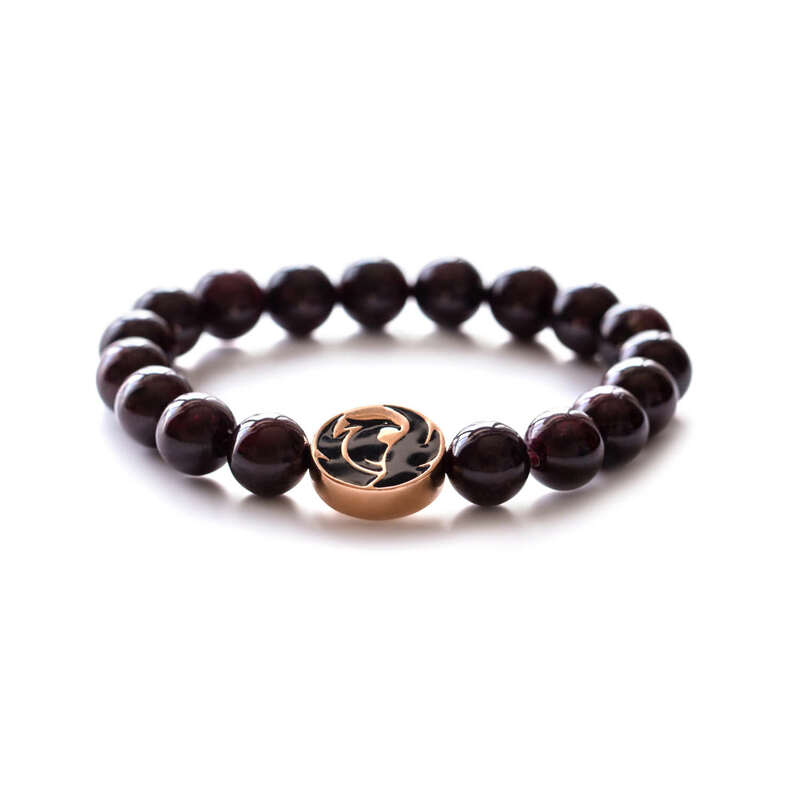 This bracelet represents courage and success, brings the energy and its perfect solution as a motivational accessory. Garnet is as a protective energy stone, a stone of regeneration and energising. Garnet stone is excellent for the manifestation of wishes and goals; its energy raises self-confidence, inspiration and creativity. Determine your goals and achieve them easier with Garnet Phoenix Bracelet. Garnet stone is a Virgo birthstone, great match for those born from second half of August to middle September. However, due to the great energy this stone has, zodiac sign shouldn’t be the only factor in your choice as it matches great with all other signs. The pendant is plated with Rose Gold to insure is long lasting and non-irritating even to sensitive skin. Standard bracelet size will easy fit 7-8 inches wrist, however, contact us directly in case you would require a customised size of the bracelet. 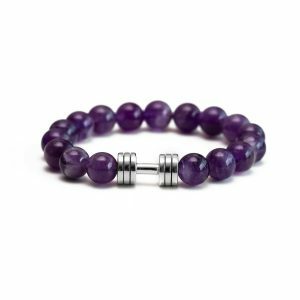 The bracelet comes presented in a black Fit Selection box, making it an ideal gift for someone special, encouragement for your friend or family member to improve life habits or a perfect treat for yourself. Shipping: USA 3-5 business days; World: 10-14 business days; Express shipping available on checkout. 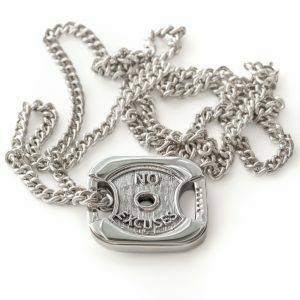 For those days when you feel unmotivated and you’re too tired or too busy to workout, stop and take a look down at your “No Excuses” weight plate necklace. Shipping: USA 3-5 business days; World: 10-14 business days; Express shipping available on checkout. 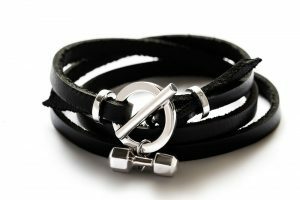 The bracelet is made from genuine high-quality leather and sterling silver (925). 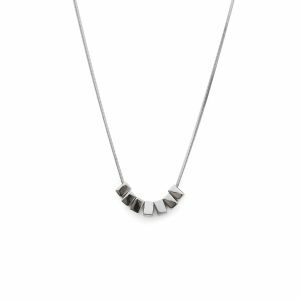 This piece will be a great addition to your jewelry collection and will prove once more that Fit Selection makes the motivation you can wear.